I normally know about the latest Shellac collections a good few weeks in advance and I put the date in my work diary but this wasn't the case for this one. 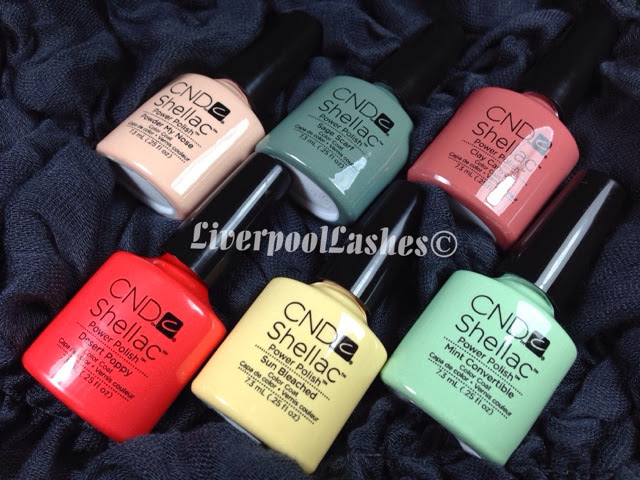 On Wednesday I was just checking my emails before college, so we're talking it was around 4.30pm and BOOOOM - there's an email from the CND stockists to say that the new Shellac collection had been released that day. I honestly didn't believe it to the point that I went to the other UK distributor's website to double check and true to form, there was the collection. I threw my order in super fast whilst cursing my ignorance at the release. Thankfully, as it was before 8pm I got next day delivery so they arrived yesterday. 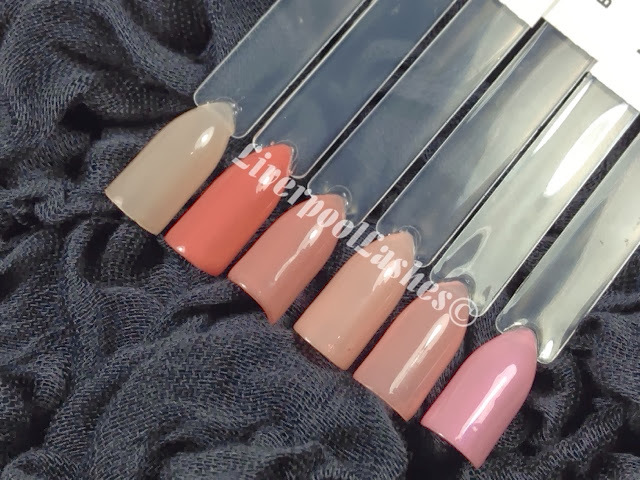 I have a full video showing each shade and comparing them to the existing range that I have linked at the end of this blog post. 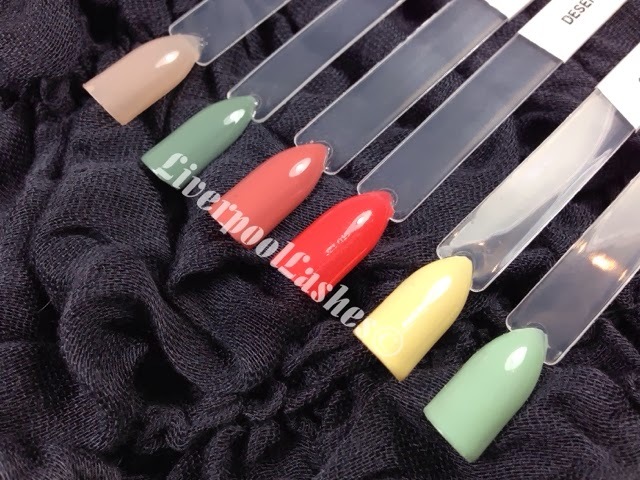 I later found out that there are also 5 new additives with the Open Road collection, the blog post and swatches for them shall be posted next week when they arrive. I've read that apparently CND want to keep up with the fashion trends, as fashion is generally a few seasons ahead they decided to launch them earlier. 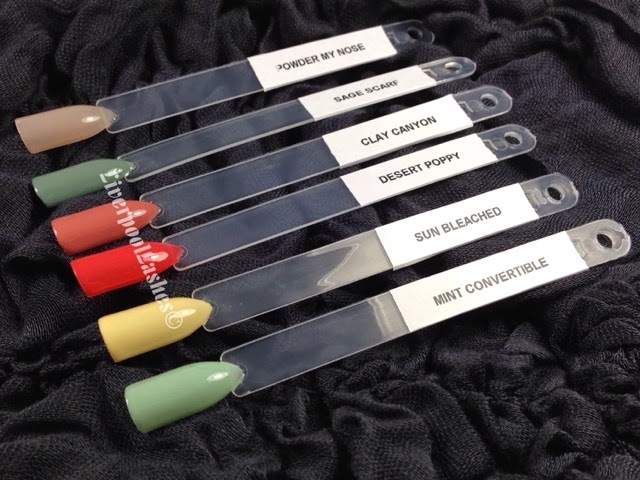 This could probably go both ways as I know a lot of nail techs haven't bought them yet as clients probably won't be interested in the pastel shades until after New Year. To be honest I saw a photo of 'Powder My Nose' and thought it looked like a quite strange colour but if you get a chance to watch my comparison video you'll see that it's a peach toned version of one of my most popular shades, Romantique. The above two photos is of Powder My Nose and Clay Canyon with the Intimates Collection that was launched in September this year. 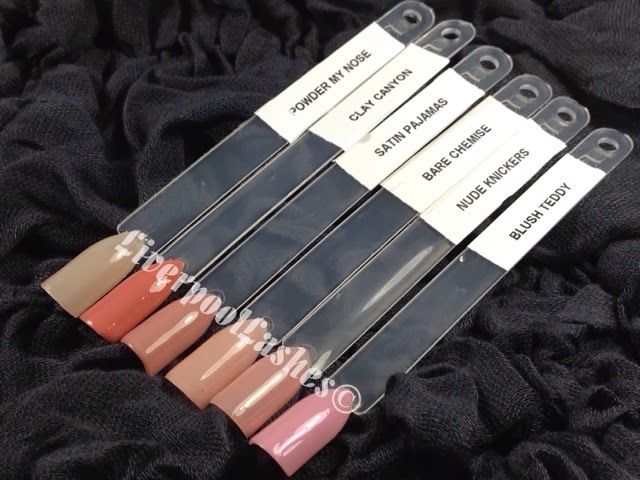 I think they're all related in terms of colour family and the name 'Powder My Nose' makes me feel like it even matched with the names as well and Blush Teddy (far right) should have been with this collection or something. I hope you've found this post useful, I'm so excited that there is finally a yellow in the range and it's great that a mint shade has been added as I know that they were both highly requested.